Given the enormous transformational potential of digital text, is there still a need for the printed book? What is the role of the librarian and bibliographer in the digital age? These are questions that Anne Welsh discusses in Chapter 7. She examines the impact of online resources on the study of the history of the book and on historical bibliography as an academic subject. 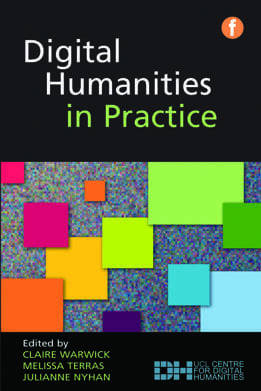 As well as highlighting key digital resources their uses and impact, this chapter considers the work that historians, librarians, conservators and other heritage professionals undertake in creating digital resources, from online catalogues and exhibitions, through to digitized texts and born-digital materials. She considers the impact of large-scale digitization initiatives, such as Google Books, and shows how the skills of the textual bibliographer remain important when working with digital resources. In 1966, Peter Beal, a graduate of the University of Leeds, started work on the Index of English Literary Manuscripts, 1450–1700 (IELM). The first volume, of what was originally meant to be a one-year project, appeared in 1980. Its two parts covered the years 1450 to 1625 and were followed, in 1987 and 1993, by a further volume in two parts, taking the coverage up to 1700. For the first time, English Renaissance scholars had a full catalogue of the manuscripts – autograph and scribal – of the major authors of the period. The Index included writings in verse, prose, dramatic and miscellaneous works, including letters, documents, books owned, presented, annotated by the authors and related items. In 23,000 entries, Peter Beal covered the works of 128 authors – of these, two were women: his choice was determined by a decision to base the whole project (further volumes covered the 18th and 19th centuries) on authors with entries in The Concise Cambridge Bibliography of English Literature (1974). Each author’s entry begins with a valuable introduction, giving an overall survey of the surviving material. Beyond the valuable study of authorial autograph manuscripts, the project initiated a series of investigations into what has come to be known as ‘scribal publication’. This phenomenon, in itself, has contributed an important element to the study of the history of the book in Britain. Following the Catalogue’s publication, Peter Beal continued to collect material, relating to the authors whose manuscripts he had already described, and, by the early years of the new century, he was ready to find a way of updating the Index. A proposal in 2004 to the Arts and Humanities Research Board (later Council) for a five-year project to create an enhanced digital version of the Index was successful, and, the following year, work began on The Catalogue of English Literary Manuscripts, 1450–1700 (CELM). Since then, Peter Beal has continued his research, assisted by John Lavagnino of King’s College London’s Centre for Computing in the Humanities, who has acted as the project’s technical advisor, while I have acted as its general overseer, along with a distinguished international advisory panel (see http://ies.sas.ac.uk/cmps/Projects/CELM/index.htm). CELM covers the work of around 200 authors (60 of them women) in some 40,000 entries. The author entries range in length, from having no items (Emilia Lanier and Isabella Whitney), to having only one (Thomas Deloney and Sir Thomas Elyot), to having around 4500 (John Donne). A conference relating to the project was held at King’s in the summer of 2009, when the database was shown to a number of scholars and a version of the Catalogue was launched online as an open-access resource at a larger event in July 2011. Work on CELM began with keyboarding all the entries in IELM, turning the contents of the four published volumes into a database. In many ways, CELM is recognisable as a digital version of IELM. However, whereas IELM was solely based around authors, CELM has a repository view, as well as an author view – both are available in longer and shorter forms. The repository view allows the user to see what is available – manuscript by manuscript, leaf by leaf – in some 500 locations, from Aberdeen University Library to the Zentralbibliothek, Zürich, Switzerland, by way of numerous private owners and untraced items. Even though the repository view only contains descriptions of items by CELM’s authors, it is a major step towards producing what is, in effect, a short-title catalogue of English manuscripts of the period. Much thought was given to the question of tagging material and to the possibilities of full-text searching. For example, it would be relatively easy to find some specific literary genres, such as verse letters or epigrams, by full-text searching, but other ‘hidden’ categories, such as women, scribes, compilers, owners, collectors, composers, dealers, bindings and binders, would have remained elusive, unless tagged. The project still has enormous scope for further development. It might, for example, supply links to library home pages and their catalogues and to related digital projects, such as ODNB, Perdita and the Electronic Enlightenment. Most importantly of all, there are several areas where CELM offers a valuable starting point for further research: for example, into paper and book bindings, auction and booksellers’ catalogues, the history of scribal publication, literary genres, authorship, and collecting. One obvious development would be to link entries to images of the material that is being described. In time, it is hoped that full descriptions of each manuscript referred to can be created – that is, by cataloguing material by non-CELM authors. There is scope for more work on, as yet, unvisited repositories, as well as for including more authors and literary types, especially anonymous works. Consideration continues to be given as to how to maintain the resource and how to signal the addition of new material to users. What began as a simple one-year survey of, what was thought to be, quite a limited field has grown, through Peter Beal’s extraordinary labours, into a vast project that is now essential to the work of all scholars of the period. Its size has meant that it is inconceivable that the results of such an undertaking would be published again in paper form. A digital database was essential if the materials’ complexity and extent were to be accommodated; a project of this kind that could not be searched efficiently would have limited usefulness. New material, new discoveries about manuscripts and changes of ownership can be introduced, so that the resource is constantly updated. In effect, CELM is the place from which all researchers working on the literature and culture of the 16th and 17th centuries, the history of manuscripts and on the development of libraries and collecting will begin. It is in the process of creating digital scholarship of this kind, that fields of inquiry are rethought and redefined: these kinds of digital resources will increasingly become not just the vehicles for the advancement of knowledge, but the agents for it. One of the characteristics of early paper is the watermark. This is a visible mark, formed during the manufacturing of the paper using a sieve. The sign is attached to the sieve, with the result that the paper is thinner at that point on the sheet. These figurative elements in paper served as national brands and quality assurances. Watermarks have intrigued researchers for a long time, resulting in the compilation of catalogues, the most important being those of C. M. Briquet (1968) and Gerhard Piccard (1961–1997). They show a wide variety in forms of watermarks, including anthropomorphic figures, animals, fabulous creatures, floral motives, mountains, luminaries and everyday items, like tools or tableware, symbols, geometrical figures, coats of arms and letters. Briquet’s and Piccard’s catalogues were of great importance, but digitization and databases have offered amazing new possibilities, as will be shown in the following. First of all, the technique of reproducing the watermarks has greatly improved. Briquet and Piccard collected images by tracing the watermark. This can be done without any special equipment, but the result is not very precise. A more accurate image can be gained through a rubbing. All one needs is a pencil and a thin piece of paper. The thin piece of paper is placed on the leaf with the watermark and a plate of Perspex below it to form a stable base. An image appears on the thin piece of paper when rubbing it with a soft pencil. However, the best images nowadays are gained through electron radiography – a very expensive method. One could use a backlight and photograph the watermark with a digital camera. This introduces a problem that needs to be solved: the printed type. With tracing, rubbing and electron radiography, one does not see the printed type. But with digital photography, one does. Digital editing of the images can solve this issue. The works of Briquet and Piccard are linear, arranged by motifs. Online databases offer more possibilities. In the early 90s, Gerard van Thienen – curator at the Koninklijke Bibliotheek, the National Library of the Netherlands – started his work on watermarks in incunabula – books printed between 1450 and 1500 – in the Low Countries. Some 2200 editions have been printed in this area in the second half of the 15th century, around 2000 of these on paper. Van Thienen examined c. 1800 copies, resulting in 16,000 images of watermarks (12,000 rubbings and 4000 electron radiographs). All images were scanned and described in a MS Access database that was published on the web as Watermarks in Incunabula printed in the Low Countries (WILC). Each watermark is recorded by a description of the motif and specific elements, such as height, width, distance of the chain lines and position on the sieve. From the incunable from which the watermark was taken, the following elements are provided: a reference to the institution where the copy is kept, the number of leaves and folios of the copy and production details (city, printer and date). For traditional descriptive elements, such as author and title, a link is made to the Incunabula Short Title Catalogue (ISTC) at The British Library. One other important feature has to be mentioned. Whereas Piccard and Briquet only register unique watermarks, in WILC, identical watermarks can be found. If a watermark appears several times in the same book, only one image is inserted in WILC. If, on the other hand, the same watermark appears again in another incunable, it is recorded once again. These identical watermarks are brought together in so-called Equivalent Groups (EG). Such an EG can be used to identify when and where the same sort of paper was used and turns out to be an important feature to date books or ascribe anonymously printed books to a certain printer. Only 800 of the 2200 printed incunabula printed in the Low Countries contain a date. Since paper was very expensive in these days, one may assume that printers did not keep it for a very long time. So when an undated book is printed on the same paper as a dated one – as can be seen using Equivalent Groups – it is printed around the same time (within a range of five years). In WILC, almost 3300 watermarks have been dated by this method. In the same way, one can ascribe books to certain printers. For example , in 1487, Flores poetarum de virtutibus et vitiis, sive Sententiae (ISTC if00221500) was printed in Delft, by either Christiaan Snellaert or J. J. van der Meer. The book contains 13 watermarks: flower, four-petalled; hand, thumb left, quatrefoil; letter p, quatrefoil, small dash, to right; letter p, quatrefoil, to left; letter p, quatrefoil, to right. Five of the Equivalent Groups contain watermarks that also appear in books that have been printed by Van der Meer, and none of the watermarks appear in books of Snellaert. Therefore, one may assume that Van der Meer printed this book. WILC started as an isolated database. Meanwhile, the Piccard Collection at the Landesarchiv Baden-Württemberg in Stuttgart has been digitized and is published on the web. Besides that, at the Österreichische Akademie der Wissenschaften in Vienna, another important database of watermarks was built: Wasserzeichen des Mittelalters (WZMA). From September 2006 to February 2009, an international group of paper researchers and IT-specialists joined in the Bernstein project, co-funded by the European Commission, eContentplus program. They integrated these three major databases (and a smaller one of Florence), now represented at the Memory of Paper website. They also developed new tools for paper research, such as an online international bibliography of paper studies, an atlas of paper and a toolkit to start new paper databases. Much information about this project can be read at the Bernstein Twiki and in the various editions of the Exhibition Catalogue (Rückert et al., 2009). The catalogues have developed into a handbook of modern paper research, with articles about watermarks and their reproduction techniques, watermark researchers, the databases, paper history and a description of the Bernstein Project. After WILC, the Koninklijke Bibliotheek at The Hague has continued watermark research and provided facilities to describe the Watermarks in Incunabula printed in España (WIES), also collected by Gerard van Thienen. At the moment, he leads another project as well: Watermarks in Incunabula printed in Great Britain (WIGB). In this project, the watermarks that Paul Needham of Princeton brought together are described. Both projects are funded by the Bibliographical Society in London and will be published on the web and eventually be included in Bernstein. Concluding, one can say that the field of watermark research is proceeding rapidly, as a result of new methods and technologies. Books and prints can be dated, falsifications can be established and trade routes can be researched, all using these databases and new technologies. They have opened new worlds for paper historians, book historians, economic historians, antiquarians, art historians, art dealers and forensic investigators. • Briquet, C. M. (1968) Les Filigranes. The New Briquet-Jubilee Edition, Stevenson, Allan (ed. ), Paper Publications Society. • Piccard, G. (1961–1997) Die Wasserzeichenkartei Piccard im Hauptstaatsarchiv Stuttgart. Findbuch I–XVII, Kohlhammer. • Rückert, P. et al. (2009) Bull’s Head and Mermaid, Landesarchiv Baden-Württemberg/Austrian Academy of Sciences.